Greg Stejskal served as an FBI agent for 31 years and retired as resident agent in charge of the Ann Arbor office. 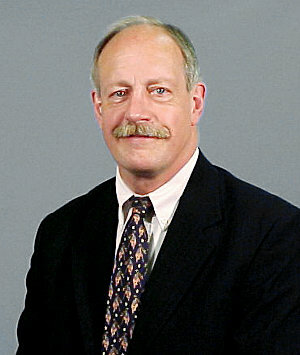 His column first appeared in the New York Daily on June 22. In August 1994, I was attending an FBI sports presentation conference. The bureau has a program where trained agents make presentations to college and professional sports teams regarding illegal sports gambling and other topics. Representatives from the NFL, MLB, NBA, NHL and NCAA were on hand as well, and attendees were made aware of an article I had recently written for the FBI magazine about an undercover operation (named Equine) that targeted illegal steroid distribution. Copies of the article were distributed at the conference. One evening over some beers, some of the attendees were discussing steroids and their use by players in various sports. I told Kevin Hallinan, then the head of MLB security, that myself and fellow agent, Bill Randall, had learned through the Equine case that a dealer we prosecuted had told us he’d been supplying some MLB players with steroids. I also mentioned to Hallinan that the dealer believed steroid use in MLB was widespread and becoming a bigger problem. One of the players the dealer mentioned was Jose Canseco, then with the A’s. Hallinan said he had heard reports of steroid use by players, but he didn’t think MLB could do much about it. Baseball was in the midst of trying to resolve a debilitating strike (which would end in 1995), there was no drug-testing program and it would be a full decade before players began being tested for performance-enhancing drug use. Hallinan did not express any interest in talking to the dealer or following up on the information. The time frame of the FBI conference fell smack in the middle of baseball’s infamous “steroid era,” with such iconic events as the 1998 home run derby between Sammy Sosa and Mark McGwire, which culminated with McGwire breaking Roger Maris’ single-season home run record. These long-ball extravaganzas were putting fans back in the seats, but the cost was the integrity of the game. In the early 2000s, there were revelations of steroid/PED use by players, including Ken Caminiti’s 2002 interview with Sports Illustrated, in which he speculated about widespread doping. Congressional hearings followed in 2005 and 2008, the latter featuring seven-time Cy Young Award winner Roger Clemens pitted against his former trainer, Brian McNamee. Both Clemens and home run king Barry Bonds were tried in criminal trials, Bonds getting convicted on one count, and Clemens being acquitted of all charges. MLB was on the defensive and initially didn’t react well. But that has changed; MLB has taken the initiative and gained the support of the Players Association in the fight against PEDs. They’ve instituted rigorous testing protocols in their drug-testing program, including taking blood samples to test for human growth hormone. In my view, more importantly, they are not relying on testing alone to ferret out drug use by players. When a Miami New Times report named numerous major leaguers’ PED links to the Miami anti-aging clinic, Biogenesis, MLB attempted to identify the players and get specific information from the newspaper. MLB also sent investigators to Florida and filed a civil suit against Biogenesis, its founder and several others in order to subpoena their records. It appears their aggressive efforts are about to bear fruit. MLB has reportedly convinced Anthony Bosch, the owner of Biogenesis, to name names and supply records. Players could ultimately be suspended, and it appears that the Players Association is in full support of baseball’s efforts. You would think the baseball commentators and writers would be supportive, too. After all, a few years ago they were chastising MLB for having ignored the PED issue and not taking stronger action. Now, some pundits have said baseball has lost its “war on drugs,” and the large number of players apparently getting steroids from Biogenesis proves it. I would argue that MLB’s dogged efforts and apparent success in identifying the players linked to Biogenesis shows it is beginning to win the war. 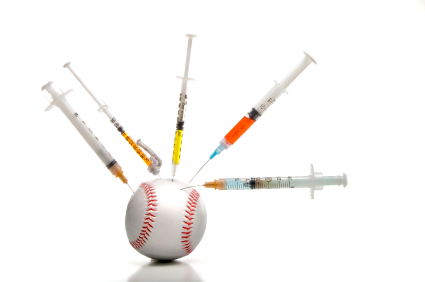 Although I warned MLB about the steroid problem almost 19 years ago, and I was concerned that it seemed to ignore the problem, I now commend MLB’s aggressive efforts to continue to rid baseball of performance-enhancing drug use. MLB may never totally eradicate the problem, but it has gone a long way in substantially reducing use. The other professional leagues and the NCAA should take note. Posted: 6/24/13 at 8:45 AM under FBI, News Story.